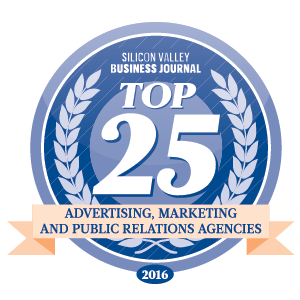 We are incredibly honored to have been listed as one of the top agencies in Silicon Valley for the third year in a row by the Silicon Valley Business Journal. This recognition comes after another remarkable year filled with exciting new projects, fantastic clients and new additions to our dynamic team of experienced, talented, and driven marketing professionals. We have been so fortunate to work with such wonderful clients – we couldn’t have done it without you and we greatly value your trust in our work. At ThinkResults we specialize in launches and repositioning projects that focus on delivering long-term financial results to our clients. The hard work and dedication of our team has allowed us to offer significant returns: we have driven over $1.5B in new revenue to our clients. We do this by meeting the challenges of the launch and repositioning process with excitement, critical analysis, and cutting edge thinking so that we can deliver powerful results. Thank you again to all of our amazing clients and the supporters of ThinkResults who have made this possible for us three years in a row.